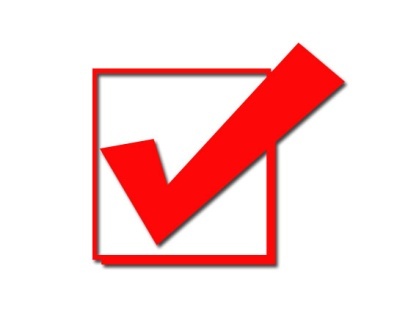 CHAPTER ELECTION INFORMATION – PLAN TO VOTE AT APRIL’S MEETING! March is here and that means UCF Technical Communication students are not only recovering from a totally wholesome Spring Break, they are getting their paperwork together to apply for the Orlando Central Florida Chapter STC Melissa Pellegrin Memorial Scholarship. The application form can be found at http://stc-orlando.org/education/college/melissa.asp. Deadline is March 29, 2013. Below, you will find testimonials from past scholarship recipients. These statements are truly a testament to the prestige this award has attained in the page 16 years. I feel honored to receive this prestigious scholarship. To be selected by professionals in the field and receive recognition for my hard work, inspires me and gives me confidence in my abilities. It motivates me to push myself to excel so I can continue the tradition of excellence set by Melissa Pellegrin. It is an honor to be among the recipients of such a special award. The Melissa Pellegrin Scholarship is a testament to the close bond that exists between Orlando-STC and the University of Central Florida. This scholarship will help me get to my technical writing summer internship at Ball Aerospace & Technologies Corp in Boulder, Colorado. For me, STC Orlando helped bridge the gap between school and work. 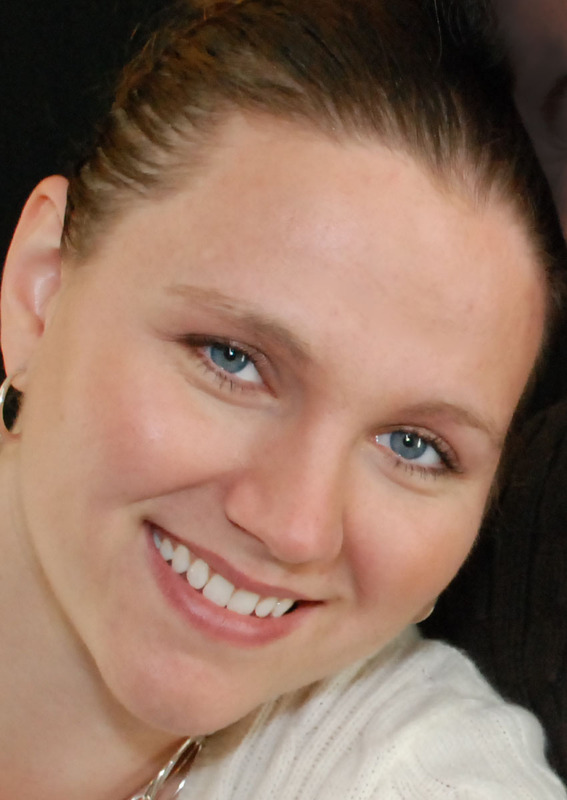 As a graduate student without a background in technical writing, I gained practical experience from the workshops, lectures, job fairs, and other services that STC provided. The culmination of this professional, academic, and personal support was being awarded the Melissa Pellegrin Scholarship. The scholarship allowed me to focus on career and academic development. 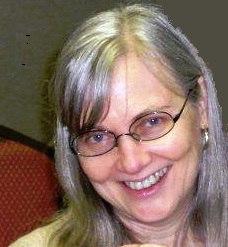 Receiving this honor made me feel for the first time like I was a member of the technical writing community – a society in which one’s contributions are embraced, amplified, and celebrated. This year (my junior year) of college, I have become highly immersed in the world of technical writing. Not only am I actively involved throughout the organizations, but I am also heavily promoting the major for the future students of the program. I am grateful for the opportunity to share my wisdom, and serve as an example, for many students who are unsure about the direction of their college education. Most of all – this scholarship is recognition for my hard workout through school, work, FTC, and STC. It is acknowledgement that my contributions to all facets of technical writing do not go unnoticed. Considering the list of previous winners, it is an honor to be considered among them. To me, the scholarship serves a dual purpose: it is a way to honor Melissa Pellegrin’s memory and a source of fuel for my future. I feel privileged and accomplished to receive the Melissa Pellegrin Scholarship for 2006. This award transcends the recognition and monetary value because I believe in the technical communication profession and am honored to be affiliated with all of the predecessors who exemplify Melissa’s caliber. I am proud to represent the STC, UCF and the Central Florida technical writing community. When I began college I wasn’t even sure what wanted to do, but once I chose technical writing, I decided to give it my best efforts. Receiving this scholarship is an honor that recognizes and validates my efforts in school. But more importantly, receiving this award encourages me to continue what I’ve begun with the hope that some day soon I can start to return the favor to the technical communication community. I am extremely thankful to receive this honor and encouragement. Since the announcement of my name as a recipient of the Melissa Pellegrin Memorial Scholarship, I have felt an even deeper amount of positive reinforcement and professional encouragement from my fellow chapter members than I did at my first STC meeting. It is no surprise to me that this organization created a scholarship program like this in honor of another fellow member whose talent and life impacted many individuals. I am honored and privileged to be a recipient of this prestigous award because I know what it means to all of the members who knew and respected Melissa. I am proud to be involved in continuing her legacy as a scholarship winner. Receiving the Melissa Pellegrin Memorial Scholarship reaffirms my success as a college student and STC’s commitment to funding capable technical communication students. The scholarship will help me as I apply to graduate schools in the near future. My life has been filled with more up-and-downs than a pool of tidal waves. Staying focused and determined has helped me earn this scholarship. For students interested in pursuing this scholarship in the future, I recommend becoming or remaining active in STC and FTC. Find ways to contribute to these organizations because you will get more out of it than you think. I was very grateful to receive the Melissa Pellegrin Scholarship. I consider my membership in STC to be one of the activities I most enjoy. I have gained so much from the amazing members and programs provided by the Orlando Chapter. The scholarship helped me finish out my last semester at UCF and I am very grateful to be blessed by the generosity of the Orlando Chapter of the STC. It is an honor to receive the Melissa Pellegrin Scholarship. Having been involved with STC for the past two years, I have met previous recipients of the scholarship and seen how they have carved out successful careers as technical communicators. Receiving the Pellegrin scholarship inspires me to follow their footsteps. The scholarship has helped fund my trip to the STC international conference this year, where I was able to learn greatly from technical communicators across the world. I am extremely grateful to the Orlando Chapter for making this experience possible. Change is in the air. Not only are the seasons changing, the clock changing, and the economy changing—for the better, we continue to hope—but your Orlando Central Florida STC Chapter is experiencing some changes, too. You’ve probably already noticed some of them: We’ve dropped our meeting fees to much lower levels, and we’ve changed our meeting night from the third Tuesday of each month to the third Thursday of each month. If that isn’t enough, we’ve even relocated our meeting space—twice! No, we’re not being capricious; we have good reasons for doing so, and our madness really does have some method behind it. You probably remember that our usual meeting space for many years was the Winter Park Civic Center. We were reasonably happy to meet there and would still be there indefinitely, except that we were finding that we had to raise meeting fees to accommodate the expense of providing the space plus refreshments every month. In order to save you some expense, we looked for less-costly meeting space, and so far we have come up with two options and continue to be open to other ideas as well. 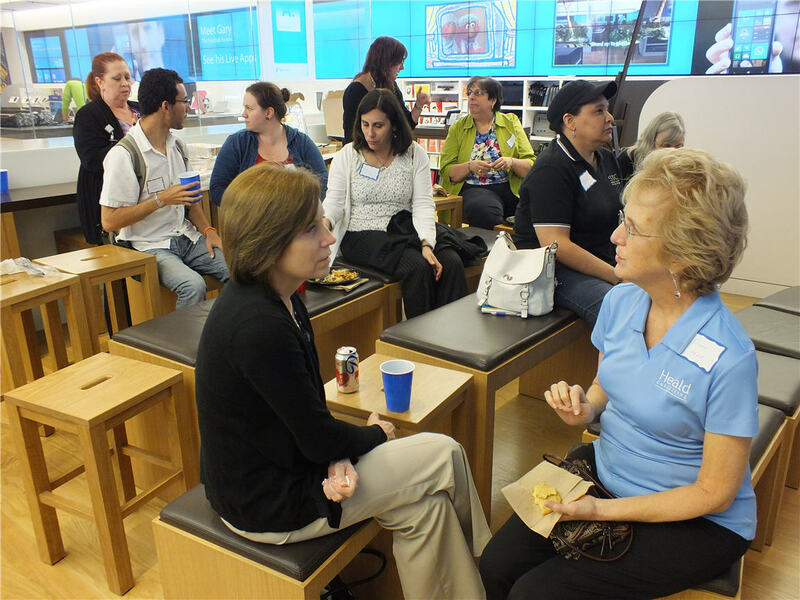 February’s meeting was held at the Microsoft store in the Florida Mall. That location had some plusses and minuses, so now we are trying out another location that may well turn out to be our permanent “home.” You can read about the new location elsewhere in this issue of Memo to Members. And we are always interested in your feedback and suggestions for new meeting places. But right now, I want to assure you that we will not compromise on our commitment to provide quality programming in a congenial setting, one that we can afford. Your Administrative Council is very eager to identify possible locations for meetings in other geographic parts of our community, so that we can have occasional meetings in the northeast, central, southwest, and other parts of Central Florida. Think about this, please. Do you know of space in the Lake Mary / Heathrow area, for example, that could be suitable for our group? It would need to be donated space, so probably a workplace training room or similar would be best. And it should be accessible to evening admission, with safe, lighted parking. Internet access would be a plus, so we can access online material and distribute the meeting via the Internet to distant attendees. If this kind of space sounds familiar because your company has such a facility, please contact me (president@stc-orlando.org) so we can discuss the possibilities. We have often heard that because our members are so geographically diverse, many of them cannot attend meetings. If that applies to you, here’s your chance to bring a meeting into your own area. Segueing from the business of programs to the programming of networking, we’re again planning our regional networking events. I talked about this last month, asking for suggestions for places to meet, but no one stepped forward. If networking with your technical-communication colleagues after work or on Saturday afternoon is of interest to you, let’s make it happen. Be in touch with me, and I’ll put it together. and the deadline for applying is March 29, 2013. It’s an easy application and could be worth real money, so download the flyer and application. Instructions for submitting the application are in the flyer. By now you should have seen our online Rising Stars notice on our mailing lists. Rising Stars is the chapter fundraising program that supports our scholarships and professional development events. Please consider a donation of any amount at all: every dollar makes a difference. And now to make giving even more convenient, we have an online option at our Event Brite RSVP site: http://stcorlando.eventbrite.com/ Regardless of whether you are planning to attend our next meeting, please visit us at that link and donate a few dollars to help your chapter provide the services and benefits you’ve come to expect from us. For more information about our Rising Stars program, see our Web site (http://stc-orlando.org/education/risingstars.asp) or contact Erika Higgins (risingstars@stc-orlando.org), our Rising Stars chair. Hope to see everyone at our next meeting! …and March for us is all about Employment! It’s important as a future Technical Communicator, that you do the right things to secure or keep employment. This month, we have several guest panelists from leading job placement companies, as well as TechComm managers/leads to talk about Hiring, the job market, preparing for an interview, what hiring managers look for in a job applicant; etc. It’s your opportunity to ask lots of questions. 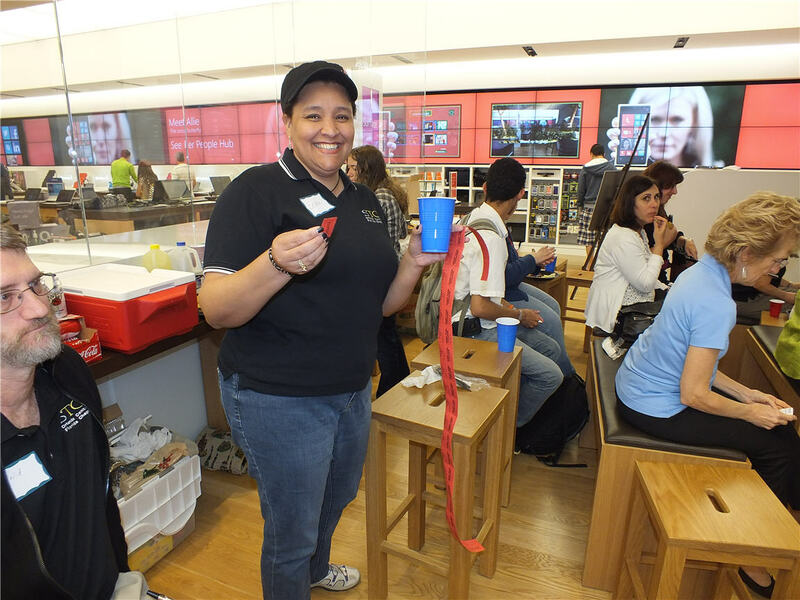 Your colleagues enjoyed their usual camaraderie and a tasty Buca di Beppo spaghetti dinner in the high-energy atmosphere of the Florida Mall Microsoft Store. Orlando Chapter STC Vice-President Debra Johnson takes the helm at the February 2013 Chapter Meeting. • The chapter received the STC Community of Distinction award, and we’re in the running (once again!) for Community of the Year. • There’s still time to make your membership activities count toward an Active Member T-shirt. Contact W.C. Wiese for more information. • STC Summit sign-up reminder. 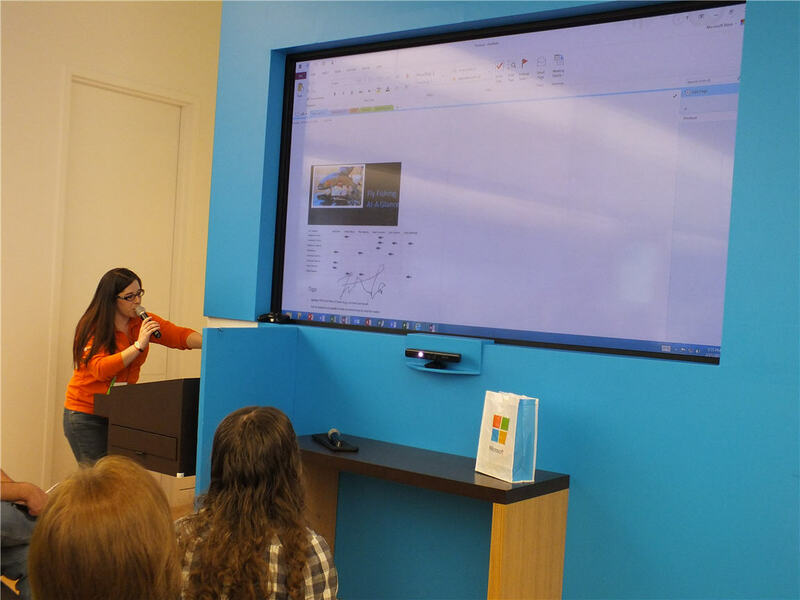 Kristina, Microsoft Store Employee, Demonstrates the Power of Microsoft OneNote. Have you ever wanted an electronic version of your notebook or scratch/doodle pad? 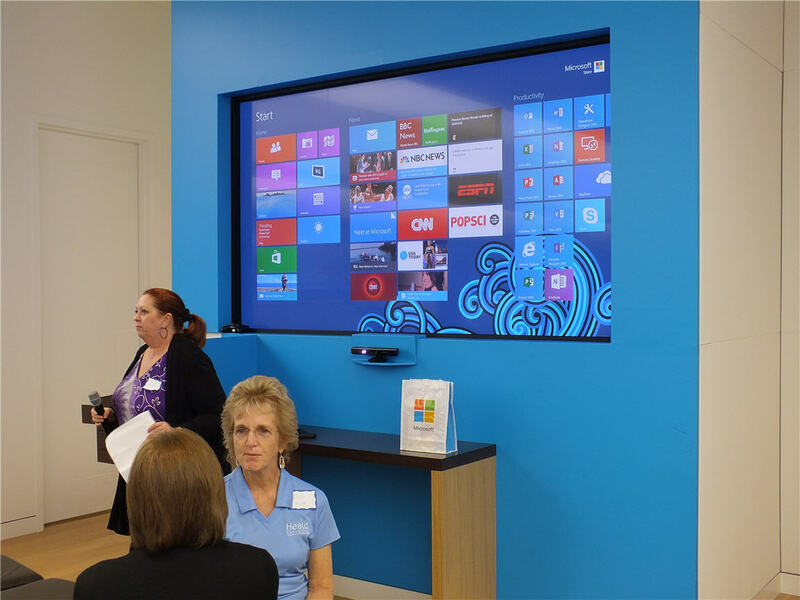 Kristina, a Microsoft Store employee, demonstrated Microsoft’s answer: OneNote. We saw how you can create a OneNote virtual notebook with sections and subjects. You can put just about anything on a page—text, drawings, links to files, and handwritten notes, which the application can convert to text. And you can search across and share your notebooks, a plus that your three-ring binder definitely doesn’t have. If you’re like me, you may be unaware that OneNote, available since 2007, is in your current Microsoft suite, just waiting for you to try it out! Orlando Central Florida Chapter STC Members network during the February 2013 Chapter Meeting. When audio difficulties prevented the showing of the STC webinar announced for the meeting, we opted to have another product demonstration, this time for Excel 2013. Some highlights: easier access to templates and recent documents, recognition of touch or mouse interface, analysis options to use with a selected block of data, expanded flash-fill, and new save-as options including SkyDrive, Microsoft’s cloud service. Orlando Central Florida Chapter Immediate Past President, Erika Higgins, hands out door prize tickets during networking time. She walked away with a copy of Microsoft Office 2010 at the end of the night. Erika Higgins was the lucky winner of a software package door prize donated by Microsoft. I want to take this chance to thank everyone for their financial support of the chapter. By joining our chapter as part of your STC society membership, you show that technical communication is important in our community. Many of you also use the Amazon link when you purchase from Amazon. We receive about $25 to $40 a quarter; those funds allow us to offer more benefits to you, and don’t cost you a penny extra. Please create a shortcut and use our Amazon affiliate link for all of your Amazon purchases. You can purchase many things from Amazon. In the past I have subscribed to household items like toilet paper to ensure that I never run out again! I also buy specialty items that are difficult to find at the grocery store. 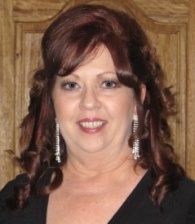 We also receive donations throughout the year to support the Melissa Pellegrin scholarship, other educational initiatives (such as supplemented STC membership), social gatherings, and meetings. If it was not for the generous donations we would not be able to support all of our exciting initiatives, such as the mentorship kick-off we sponsor each year. We have one of the most innovative and long-lasting technical communicator mentorship programs in the world! We could not be offering these opportunities to our students without the financial support of our local technical communicators. Elected officers will begin their terms at the end of June’s chapter meeting. listservmgr@stc-orlando.org if you believe should be added to the list. Members can submit ballots in three ways. You may bring the completed ballot to the April meeting, complete a ballot provided at the meeting, or submit your ballot by mail. (Mail ballots must use a double envelope – the sealed inside envelope protects voting privacy and should display your name, address, and STC membership number.) Mailed ballots must arrive by the date of the chapter meeting. The chapter’s mailing address is Post Office Box 540444, Orlando, FL 32854-0444. Be sure to congratulate this year’s nominees and thank them for their willingness to serve the chapter! This Tool tip column was sparked by a question on our chapter mailing list. In Word files, you can hyperlink to other Word documents. But if you are making PDFs from your documents, how can you maintain those links? The problem is with this is that the hyperlinks point to other Word documents. So a link in a PDF document created from a Word document will point to the Word document you were originally linking to from the original Word document. So, an easy solution is to PDF all the documents you want in a set, then combine them into one file. The bookmarks in the final file will link to each of the documents. Now suppose you have lots of files to convert to PDF. Or perhaps you have to convert files on a regular basis. You really don’t want to open each file, save it as a PDF, then proceed to the next one. Well, you don’t have to. Copy and paste the code below into Word’s VBA editor, and you can save yourself a lot of time. This macro uses Word’s Save as PDF function to create PDF files from all the Word documents in a folder. When you run it, it lets you browse to the folder where you have your files, saves them all as a PDF with the same name as the original file, then pops up a message telling you it’s all done. And it doesn’t change your original files either. In my experience, it is a faster way of creating PDF files from Word documents than using Acrobat. It will also create bookmarks from your headings. ‘Close the file, not saving the changes.